Doesn't that title just make you smile? Hello everyone and welcome to my little crafting corner! I hope you had a fabulous weekend and are all rested up for a new week. I just got home last night from a wonderful 2 days of Copic Marker Classes with the awesome instructor Sherrie Siemens. This year for my Valentines Day gift, my sweet hubby agreed to travel 6 hours, by car, with a puppy, to Orlando so that I could attend these classes! Is he a keeper or what? So, my head is still just bursting with information, tips and techniques and I hope once I recover from the trip I can put some of this info to good use! 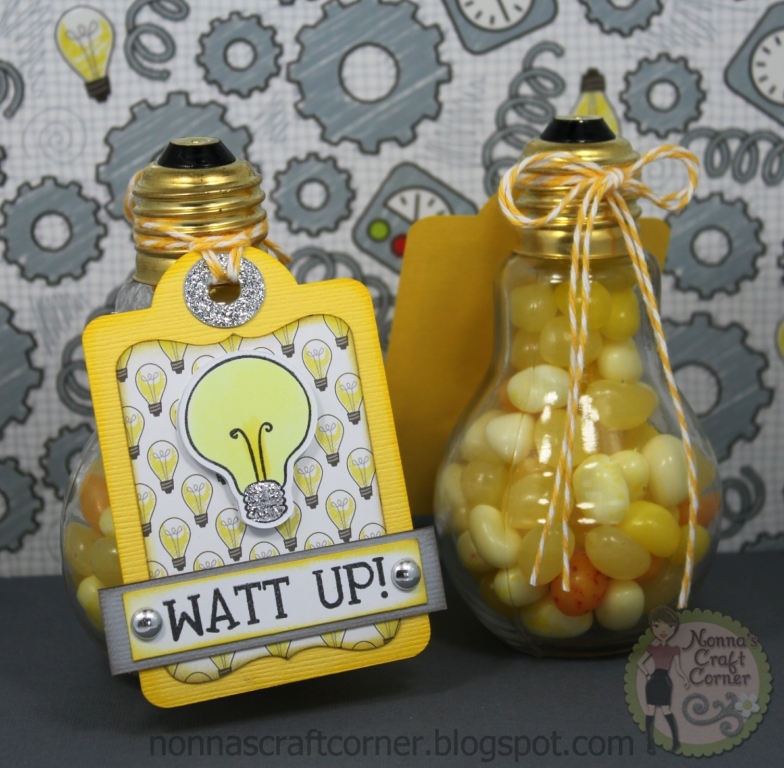 * I found these cute little light bulbs at Hobby Lobby and filled them with yellow jelly beans. 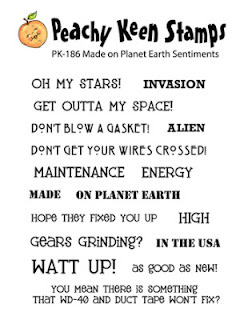 * The fun light bulb stamps are from the Peachy Keen Stamp set PKSC-14 (February 2013). I colored the bulbs with Copic markers and added a bit of silver stickles to the "metal" portion of the bulb. I cut 2 bulbs for each tag and used pop dots to layer them for a bit of dimension. *For the finishing touches on my light bulbs, I added some silver Stickles to the top of my tag and tied them on with a bit of "Lemon Tart" twine from Trendy Twine. I just love the way these turned out! Finally a treat that I can give to the guys - not a hint of pink or flowers anywhere! 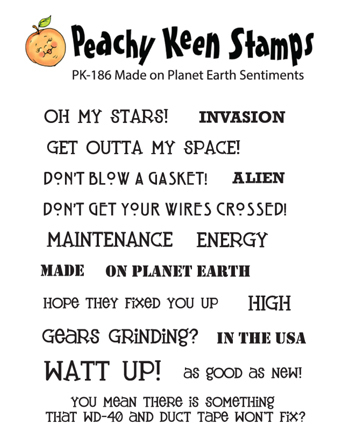 Ok, I'm finished up here, but before I go I need to remind you about the sale going on right now at Peachy Keen Stamps - Kathy has an awesome sale going on and you don't want to miss it! The sale ends 2-19-13 so be sure to head on over and take advantage of the savings! I hope you have an awesome day and I'll be seeing you soon! Oh Tanya, these are way to cute. What a great idea. Are you kidding me? Way to much fun and super cute! Awesome Treats! !A Super Cute & Yummy Project! Tanya, this is such a terrific idea and your tags are super CUTE! I joined the SOTM club and I LOVE LOVE LOVE my new stamps! Super fun project Tanya, and I'm so glad you had a chance to attend the copic class, sounds fun :) can't wait to see all the fun things you come up with! These are SO fun, Tanya!! Your tags are super and the candy-filled light bulbs are terrific!! OOH EMM GEEEE!!!! this rocks! I love it. What an awesome idea. 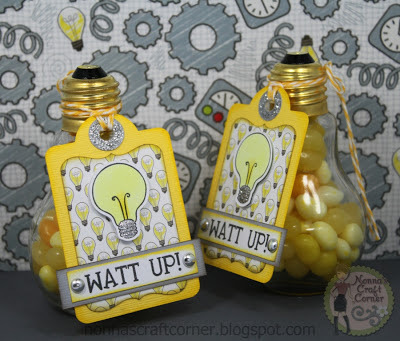 These are fabulous Tanya - love the light bulbs!! Aww how super awesome to be able to attend those classes, Congrats. Love this little treat idea. Totally rocks. These are just so fabby Tanya.A real light bulb moment!!Lol! And how wonderful doing the classes. Watt a great idea! So much fun. The paper matches perfectly with the new release. It's so nice of your hubby to take you to the Copic classes. Can't wait to see what new tips and tricks you learned while away. Perfection! I am totally in love with the light bulbs! Oh my gosh......I LOVE this! Are these plastic or glass?? I have to make some of these:) SO CUTE! OMG! I love this. This is so cute! These are adorable, Tanya. Love the light bulbs and the sentiment. these are soooooo cute!! love them!! I can't believe you were able to buy those light bulb containers - I have never seen anything like them!! What an awesome hubby you have!!! This is a very cute idea! These are soooo cute!! What a GREAT favor for guys!! Tanya ~ OMG!! First of all I bought one of these CUTE little glass jars my first trip ever to Hobby Lobby in November but let me say mine wouldn't be as CUTE as yours! Especially with those new PKS stamps! EEK!! I LOVE them! Add this to my wishlist too! Jeez you ladies keep my list growing!! !